Welcome to this one-owner 4 bed, 2 1/2 bath house sitting on .6 acres! New hot water heater and HVAC system installed March 2019. 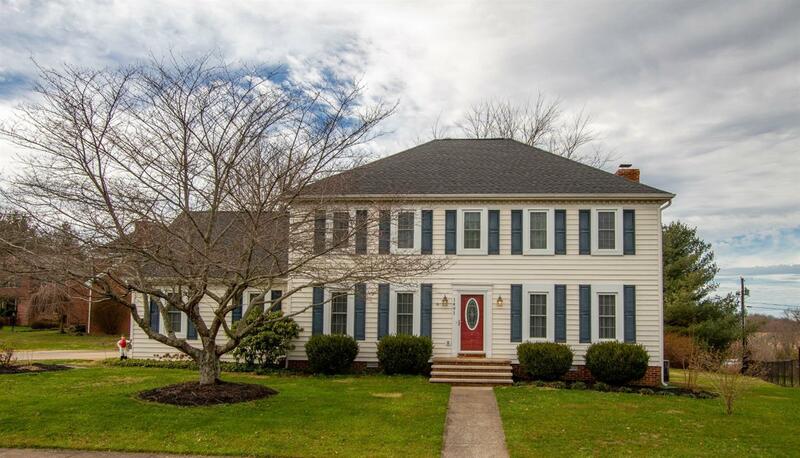 The 1st floor of this home features an open-concept kitchen/living room with a wood-burning fireplace, half bath, formal dining room and a home office. The 2nd floor boasts a large master suite, 3 spacious bedrooms and another full bathroom. For extra storage space, there is a 320 sf bonus room, as well as pull down stairs leading to a floored attic. Outside, there is a spacious backyard and even larger side yard sitting on the corner of a cul-de-sac. Enjoy your summer evenings on the two-tier Trex deck that requires little maintenance and upkeep. Schedule your showing today!